I was recently tagged in an article that was more a compilation of quotes of some 25 renowned authors. Most of those quotes were dedicated to writing things that haunt us, scare us, upset us; are taboo that nobody wants to talk about. Shock everyone, create controversy and win. I’m guessing depression sells tons. That’s cute. And thanks but no thanks, though, I appreciate the confidence. I don’t write books about things that scare or upset me. I can’t see why I should. I write about stuff that makes me happy because I believe people need to know that part too about the world I come from. And I believe that that is just as capable of enlightening the readers as the tales of terror and torment that are constantly dished out to portray real life. Furthermore, if it still needs to be said, real life is made up of sad moments and happy moments, and just because I choose to write about the Happy, doesn’t mean it isn’t real or deep or worth reading about. You can say it’s incomplete, and I’ll say it is just as incomplete as the books dipped in the Sad. Besides, what if I dedicated my earnings from my happy unreal romcoms to help the needy? Would that help? Or is money earned from romance tainted and can’t be given to charities? I am amazed at the idea of dubbing one genre more worth one’s while than the other. The why are you wasting your talent by writing This and not That is a rude question. I’ve been asked this enough times to be sore from it. My answer: because That is not my freakin’ genre. Every book ever written has a genre, a category: romance, fantasy, humor, drama, horror, creative fiction, non-fiction; the list goes on. Sometimes, the writer chooses a genre but often times the genre chooses the writer. Fantasy chose me. I chose romance. And if you’re a reader who reads neither, steer clear. Seriously, this is honest advice. I mean well. Don’t expect Khaled Hosseini to pull off a Tolkien and vice versa because you definitely don’t want to go kite-flying with the Orcs or have them molest a child. Enid Blyton is not Stephen King and will not write Needful Things, and I certainly wouldn’t want to read to my kids about the creatures that might live up Stephen’s Faraway Tree. Sadat Hassan Manto’s idea of love is not what Sophie Kinsella writes about so let them both say what they best believe to be true. You cannot compare. It is grapes and strawberries. Or grapes and raisins even. You see, no sensible writer is ever wasting their talent. If I am good at what I write, and the readers determine that and by readers I mean the target market for which I write, then, my talent is not wasted. If you didn’t enjoy a particular kind of book, and not because it was grammatically or literately atrocious, perhaps it wasn’t written for you. Maybe that book’s genre wasn’t your type. And that’s fine. For every kind of reader there is a writer and for every kind of writer, there is a reader. It’s all about finding that perfect match. Just don’t expect a writer to change her genre to suit your fancies. Don’t expect of Jane Austen what you liked about Alistair MacLean, and then demonize her for not doing it right. Shakespeare is nothing but pure genius and if you think otherwise because Hollywood does a better job with drama, your argument is invalid. The idea is to read and appreciate every writer for what they write best. Now, that will be respectful. PS: this post first appeared here. Everyone everywhere is wondering why Pervez Musharraf, the ex-dictator of Pakistan is being tried and not the other 19,689 terrorists who have killed and are killing Pakistanis on a daily basis (while also giving interviews on TV), not the judges who endorsed his coup and not Nawaz Sharif and ilk, and Bhuttos and ilk who well, did everything in their power to ruin the country. Honestly, are those people dumb? Seriously? Why ask a question with such an obvious answer! Mushy, I mean Musharraf DRINKS!! Astaghfaar!! That alone is enough to make him an outstanding kaafir and that, ladies and gentlemen, makes him a traitor and he should be punished and – oh wait, *voice speaks in ear piece* update coming in – Imran Khan drinks too. Ahem *clears throat* So what? I mean PUHLEEZ! He drinks in the memory of Osama Bin Laden, it’s different. That is allowed. And besides, I cannot bring in personal stuff about IK. This… his personal life is totally irrelevant, OKAY! Also, his followers (PTI cyber wing) won’t like it and will hack into my account and post pics of feces on my wall and call it a victory. Nothing pretty about that. Ok then! 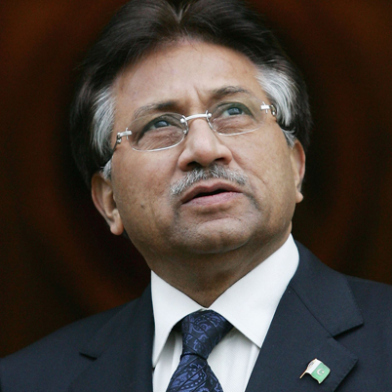 Next: Bad Mushy…I mean MUSHARRAF wrote about his affairs in his book! Haww! The shame and…what’s that? IK had how many affairs? Nobody knows? Not even IK? Well, he did marry and settle down eventually, didn’t he? So! Moving on – Mushy…dammit, I mean Musharraf operated on Lal Masjid!!! He cut it open and out flew burqa clad mullahs. Wait, what’s that? *voice speaks again in ear piece* There was only one? Really? Just one? Alright then, but the list of Musharraf’s crimes is never ending. He went and bombed Bugti for no good reason. Yes, being an anti-Pakistan warlord, landlord is no good reason. And it doesn’t stop there. He bombed the Sardar while he was in his lavish, cool, water-filled swimming pool in the heart of Baluchistan!! *makes sad face* What’s that? He was in a cave? They have pools in caves? Oh, he was in a cave, not a pool…because he was on the run and hiding there while Pak Army was searching for him! Oh well, let’s get serious and talk about that fateful PIA flight on THAT night of October!!! Remember that one? Now, that is treason! That is violation of our air traffic laws and India’s airspace and Musharraf had no right telling the pilot where to land! Er…what’s that? That was Nawaz Sharif? It wasn’t Mushy who told the pilot to land in India? Are you sure? Dammit! Okay then…ON OTHER NEWS! Yeh sher ka bacha hai!! Baday hokar PMN- L join keraga! Iskay paas peacocks bhi theen, lekin usko baagar billi khaa gayi. 21 policemen have been sent notices for letting this horrific, horrific crime happen. So as you can see, CLEARLY, Musharraf IS a traitor! How can we forget (and we won’t let you either) NOV 2007 when he blatantly and oh-so-savagely removed the Chief Justice from his post!!! How dare he! The lawyers were up in arms and…What’s that? Peaceful protest? No arms? Oh okay…arms but like not armeD! As I was saying, HOW could he do that?!! What’s that again? He got references from the Supreme Court AGAINST the Chief Justice ? But… but…but CJ was a NICE guy!!! He said Musharraf’s coup was justified and EXACTLY according to the constitution!!! Oh wait, I can’t say that. Because that’s something that cannot be named/said/ever in a zillion years because it takes all blame away from Musharraf and puts it on every other idiot. I think I’ll go write about those peacocks now. And you people should just accept it! Musharraf is a TRAITOR, OK! Because I said so! Bas! Note: I wrote this piece with Shamila Ghyas and needless to say, it was a riot!